If you try to recall your daily activities you will end with the report that most of the time you must be occupied with your iPhone without your knowledge amidst your busy work schedule. You need a supervisor to monitor your iPhone activities in order to mitigate the time spent on it. A reliable iPhone screen app seems to be the today’s need to overcome the addictive habits of every individual. This type of app also saves from unwanted internet threats and protects you from cyber bullying etc. In this article you will learn about top 5 best iPhone screen time apps which work out really well in the present situation. It is a trustworthy app to monitor the screen time in the iPhone. 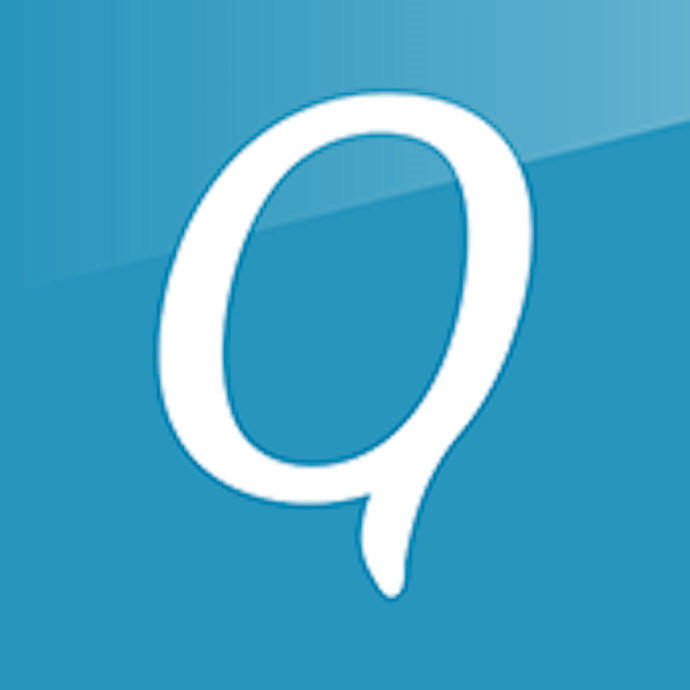 This app is an incredible product from the giant organization Wondershare. Famisafe app is one of the best parental control apps which display precise results in an effective manner. It builds a protective wall for your kids while surfing through the websites. The web filtering feature prevents your kid’s iPhone to enter into harmful and adult content web pages. The ‘Intellectual Scheduling’ option allows the kids to plan their daily activities wisely and help them to carry out their tasks on time without any excuses. Create a ‘Geo Fence’ and allow your kid to travel alone confidently. This feature helps the kids to be safe under the supervision of their parents round the clock and prevent them to move towards unsafe areas. A three day free trial version is available for a download. Just try out and acquire better understanding about the app. An innovative tool with optimum performance in a long run without any issues. Informative online user guide to educate the users for better utilization. The free trial version works only for three days and you have to purchase to enjoy its extended features in a long run. This product hails from a giant Norton Family. It is a best app to track time spent on iPhone accurately. It is a precise tool where you can handle it effortlessly. The ‘Set Time limit’ option enables the user to control their iPhone activities within certain time limit. The ‘Location supervision’ feature assists the user to trace out the iPhone location easily without much difficulty. The ‘Easy to use web portal’ facility helps you to monitor the connected devices optimally. 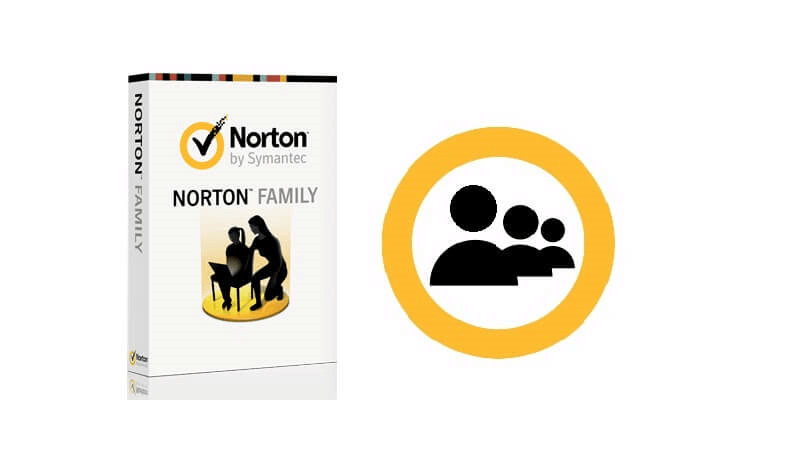 The Norton family parental control app cannot support more than 10 connected devices. It is an efficient parental control app in the current scenario. This app is exclusively designed to manage and monitor your kid’s activities over the iPhone gadgets. The ‘Track calls and SMS’ help the parents to monitor the calls and text messages which reach your kid’s iPhone. The ‘Block website’ option prevent the kids to surf through the harmful websites available in the cyber world. The user friendly environment allows the parents to monitor effectively without any issues. Little expensive when compared to other parental control apps in the digital market. It is an awesome tool to monitor your kid’s activities on gadgets. Entertain your kids wisely using this innovative app. 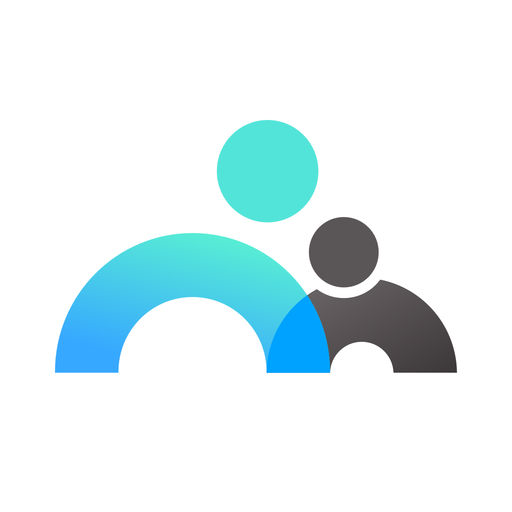 This parental control app is developed by Screen time labs. ‘Approve apps’ functionality allow the kids to download constructive games. You can prevent your kid from installing harmful games which are available in the internet platform. Apply ‘Instant pause’ control to disable your kid’s gadgets in order to draw their attention immediately. The free version has fewer features when compared to the premium paid package. This app is a basic version of parental control. It is developed by Kidcrono firm. 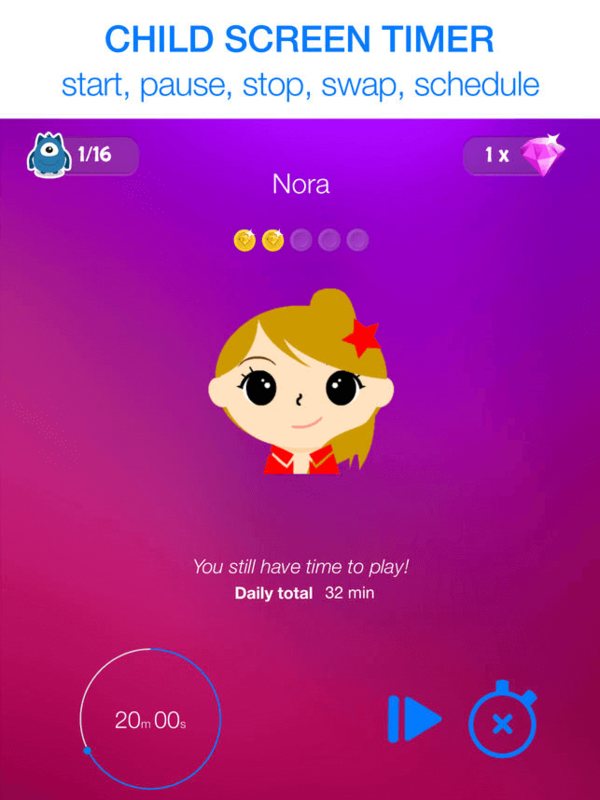 The main feature of this app is highly focused on the screen time limit. Ease screen time features with the option buttons like ‘Pause, Start, Swap, and Stop’ etc. Encourage the kids to self manage their iPhone activities on their own interest without any compulsion. Limited functionalities are available in this app. It is not a professional parental control app. Part 3: Why FamiSafe stands out? 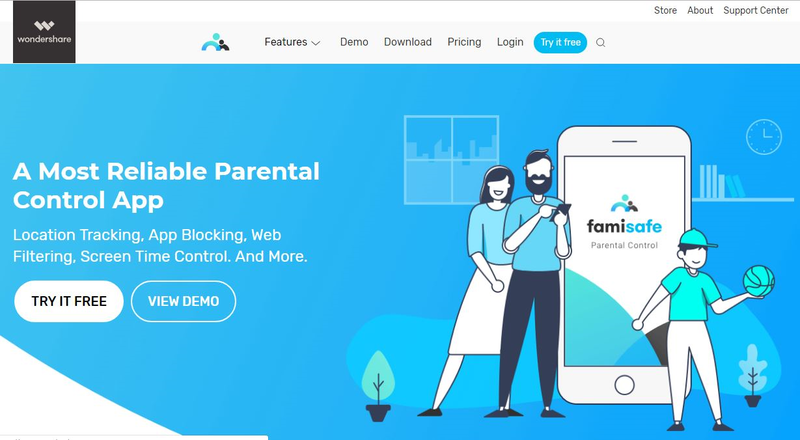 The Famisafe parental control app stands unique due to its stunning features. All the functionalities implemented in this platform perform well consistently without any issues. It serves as a flexible remote control of your kid’s gadgets. This app monitors all the gadget activities of your kid and focuses on every detail precisely and display reliable data with no regrets. You can establish a complete control on your kid’s gadget by installing this app. It is an effective app to manage the present generation kids, youngsters. 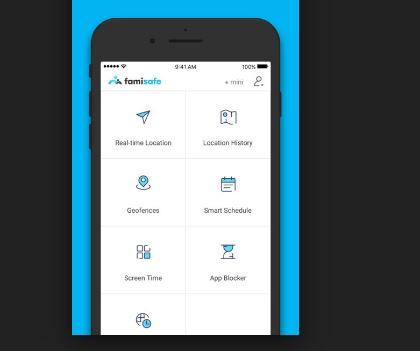 Try out Famisafe app to track time spent on iPhone. Make a note on below steps for an effective utilization of this iPhone screen app. Step 1: Install the software by visiting the official website of Famisafe app. Step 3: To check out the screen time you have to select the ‘Screen Time’ option in the homepage. You will view the below screenshot. 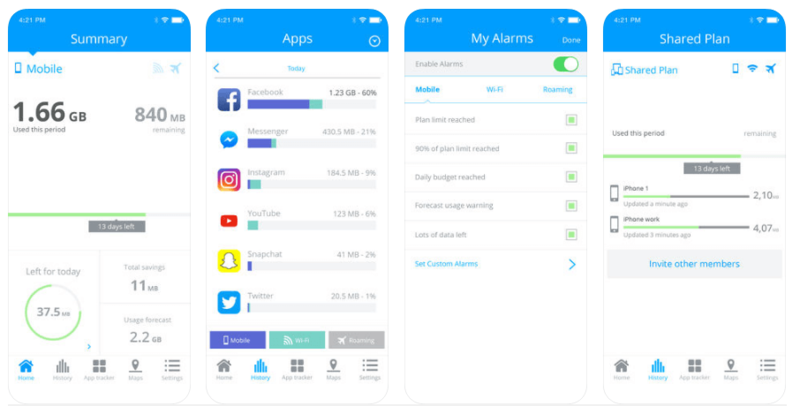 You are now very clear about how to make use of the Famisafe app to manage the screen time of your iPhone. It is high time to use a reliable iPhone screen app to manage your time spent on the iPhone activities. 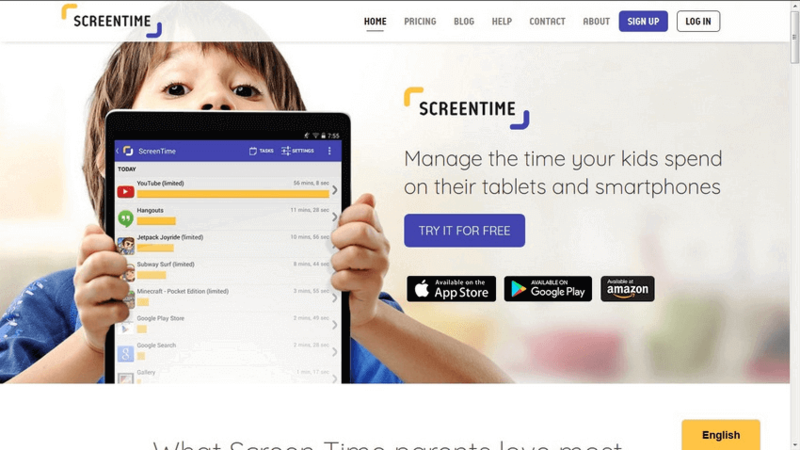 In this article you had a better idea about the top 5 amazing parental control apps which focuses on the screen time feature. Famisafe app is a highly recommended tool because it provides consistent performance flawlessly. It is a right tool which meets the expectations of the parents without any regrets.